Dan was born in Erie, Pennsylvania and was raised in Peabody, Massachusetts. 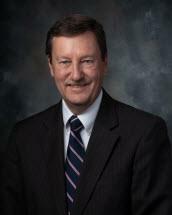 He comes to Ransmeier & Spellman from the New Hampshire Attorney General's Office where he served for over 25 years. While at the Attorney General's Office, Dan served as Chief of Staff, Chief of the Civil Bureau, and Director of the Federal Litigation Unit. Dan represented numerous state officials and state employees in over 100 state agencies in litigation in both Federal and State Courts. Dan is a past member of the federal court advisory committee. He has also been chosen as a "Super Lawyer" for the years 2014, 2015 and 2016 in the area of Administrative Law. Dan is active in several groups supporting Concord High School Athletics. He resides in Concord with his wife and five children. Dan is an avid Red Sox baseball fan and enjoys golfing in his free time.